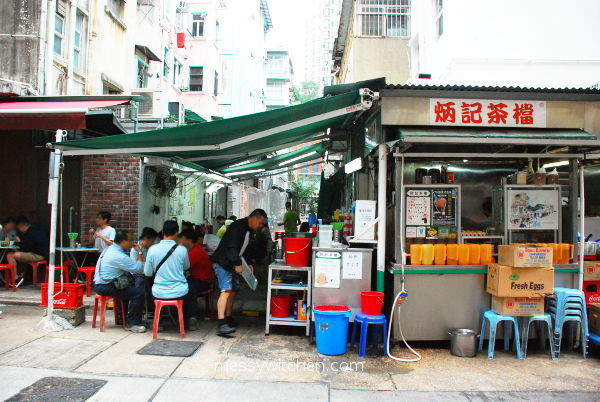 We traveled to Tai Hang for our first ever dai pai dong (cooked-food stalls) experience at Bing Kee on our day 4 lunch in Hong Kong. Although I’ve never dined in one over here, however in Malaysia we have this sort of food stalls establishment and I believe it is so in many Asian countries too. 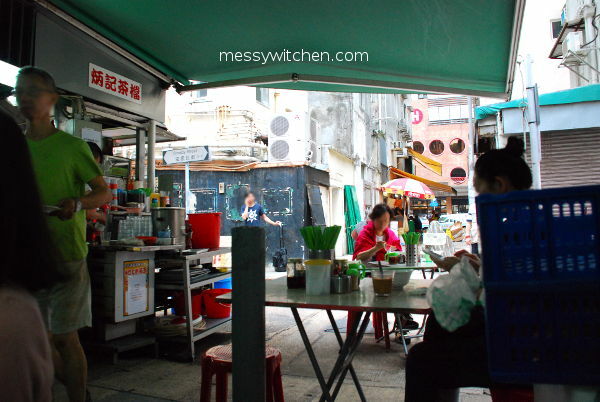 Do note that in Hong Kong, not all street food stalls can be called dai pai dong. A dai pai dong business license is larger than other street vendor’s license. It’s also for this reason that dai pai dong is called dai pai dong literally; dai pai = big license, dong = stall. 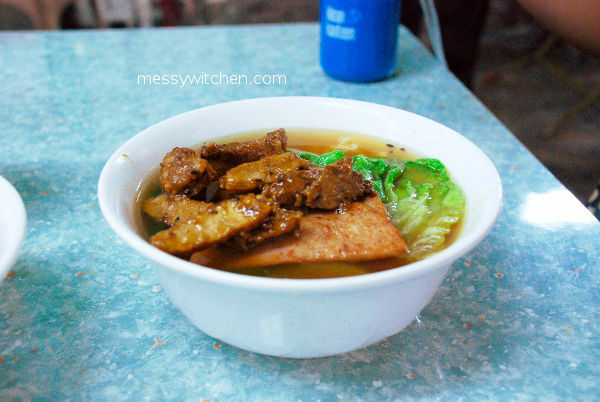 The charm of any dai pai dongs are their quintessential fast-affordable-yummy food. 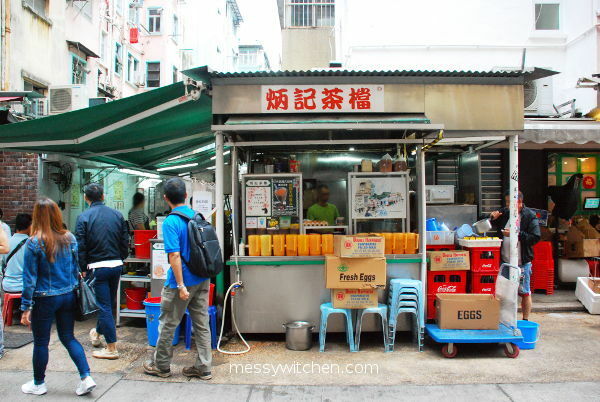 Bing Kee is one of the few (less than 30) dai pai dongs left in Hong Kong. I found out about Bing Kee from a Korean travel program called Battle Trip a year or two ago. I was attracted to its pork chop, eating at five foot way (not weird for me as we have this in Malaysia) and the street name. So very happy that I could finally make my to-eat dream come true. Actually, this is supposed to be our brunch, but it took us 1.5 hours to reach there! Hahaha We took the MTR, ferry and by foot from Wan Chai ferry… taking our own sweet time. Not long after that, a mom and her kids shared a table with us. They must be a regular and from the neighborhood as the people operating Bing Kee were really friendly with them. From where we sat looking out at Ormsby Street. 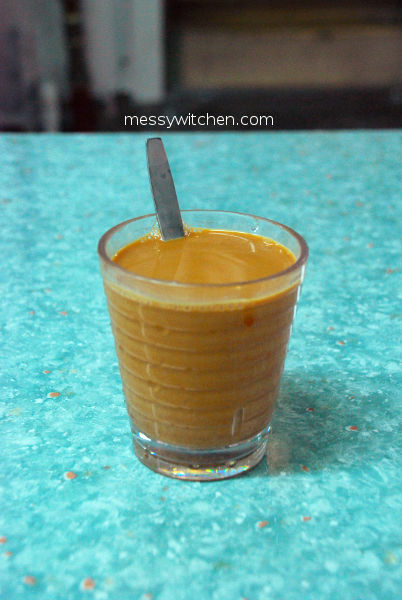 Hong Kong milk tea (hot). I only took a few sips because I no longer drink tea (or coffee). It was good. 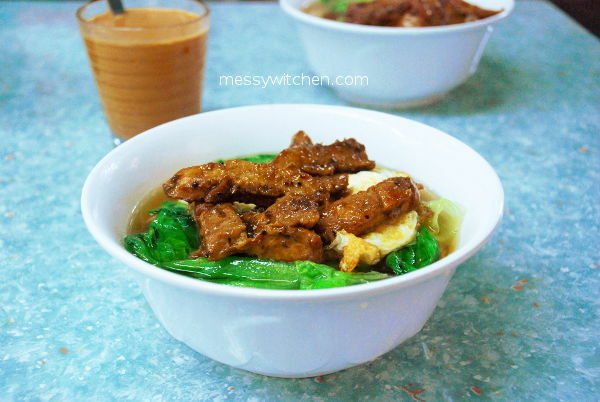 Pork chop noodles with egg. This is mine. Pork chop noodles with ham. This is my sis’. Then I exchanged some of my egg for her ham. She, likewise. The pork chop is peppery and full of flavor. The meat texture is just right, not overly tough or soft. Eaten with noodles, egg and ham, YUM! The soup is flavorful too. There are a couple of condiments on the table but I did not try it. I’m not sure of the price of each dish but our total is HK$66. Ohh and the place is clean. This is the situation when we left at 12.25pm, packed but no queue.